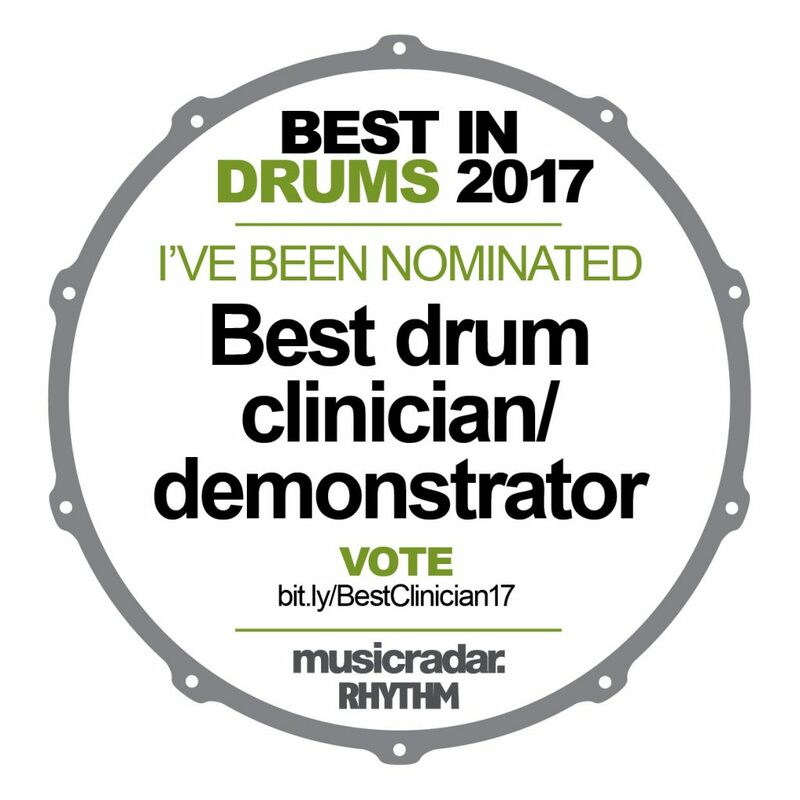 I have been nominated best clinician in this year’s Rhythm Magazine / MusicRadar readers poll. Honored to be on that list with so many drummers I really like. Having said that, you need to vote for me, of course………humor off.